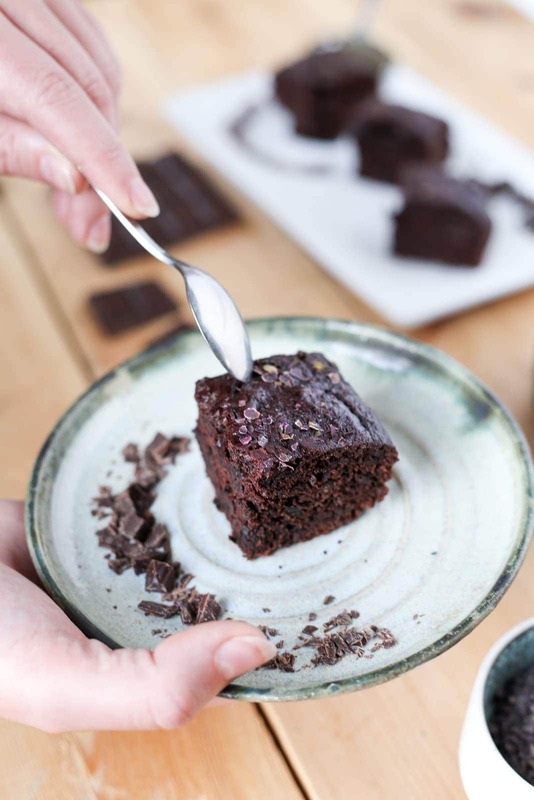 Dulse and Avocado Brownies - Lofoten Seaweed | From Lofoten, Weed Love. 3. In a mixing bowl sift together flour, sugar, cocoa, baking powder, vanilla sugar and salt. 4. In a separate bowl beat together mashed avocado, milk and water until creamy. Add the dulse and let sit for 5 minutes. 5. Mix wet and dry ingredients together. 6. Pour into you prepared pan and bake for 35 – 40 minutes. 7. To check if your brownies are ready, insert a toothpick in the center of the brownie. If the toothpick comes out clean with a few crumbs it’s perfect. 8. Once ready, remove the brownie from the baking pan and let cool to room temperature. Cut to preferred serving sizes and Enjoy!